Serving the clientele with finest assortment of products, we are a high-flying organization operating from Kanchipuram(India). To ensure utmost satisfaction of the buyers, we make sure that the delivery schedule should be properly maintained. 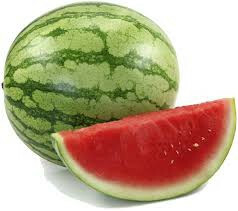 Fresh Watermelon has vitamin C which prevents cells against free radical damage and repairs the skin damage.